Only 85,595 miles! Only One Owner! Extended Cab! Z71 Off-Road Package! Zero accidents or damages! Excellent Maintenance History done by the Chevrolet Professional Mechanics at Chase Chevrolet in Stockton, CA! Powered by a Strong 5.3L V8 engine mated to a 4-speed automatic transmission. Great looking, great condition Blue Granite Metallic exterior. Very clean, roomy interior with plush Dark Charcoal Leather. Features include Dual Zone Air-Conditioning, Stereo System with CD/MP3 capability, Power Front Seats, Running Boards, Leer Camper Shell, and Tow Package. Safety features include 4-wheel ABS and dual frontal airbags. Four almost new, top quality Michelin Defender LTX M/S tires. 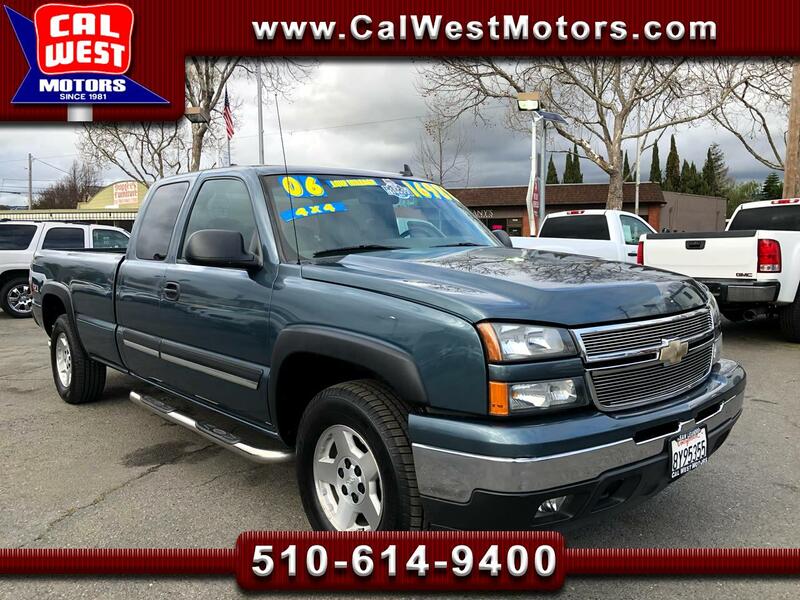 This Silverado's One Owner History, Low Mileage, Z71 Off-Road Package, and Excellent Maintenance History produce Exceptional Value under $16,000!